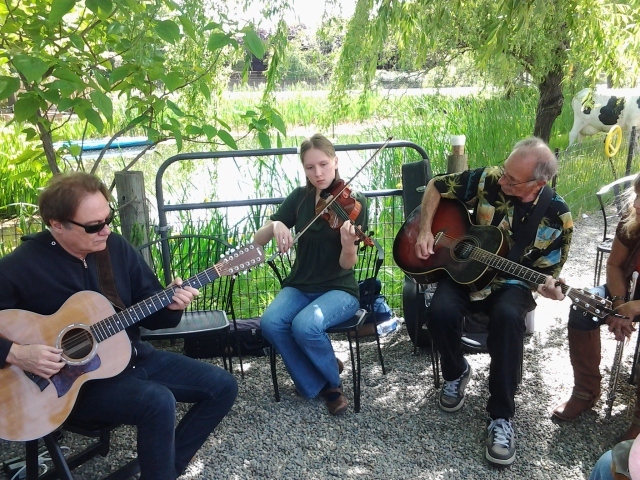 Sweet melodies mingled with fresh spring scents as I watched willow branches dance in the breeze above the gathering of musicians at the Flower Farm on Saturday. I enjoyed hearing the intricate hodge podge of improvised chord progressions as the players jammed, but my heart soared when I heard the notes of Amazing Grace emerge. I smiled as my friend, Rosemary, skillfully bowed the chorus on her violin. This was my first time hearing her play. The combination of music, God’s garden creations, and friends lightened my heart. I felt God’s strength rise inside me and I left inspired to do some creating myself. On Sunday, I had a similar music experience at church. Although our drummer wasn’t there and the music started out weak, by the third song the spirit of praise filled the room as the hearts of the people sung out bolder than I’d ever heard—mine included. Again, my heart felt light and strong. Psalm 81 says to sing for joy to God, who is our strength. It doesn’t say to just spontaneously be joyous, but to sing for joy. 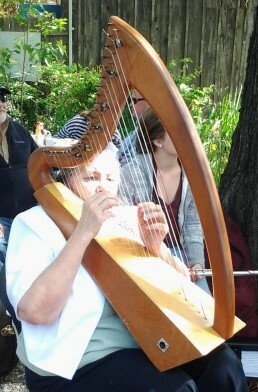 To help us jump-start our joy, it says to begin the music, strike up the tambourine, and play the melodious harp. Now I don’t personally own a harp, or even a tambourine, but I have a radio and a CD player. Instead of bemoaning my lack of joy, I need to follow God’s instructions and use his gift of worship music to stir my heart and embrace the strength and joy God provides. Music is a sure-fire way to “jumpstart” just about anything, especially joy. Wish I could have seen Rosemary play! Thanks for sharing this great post.